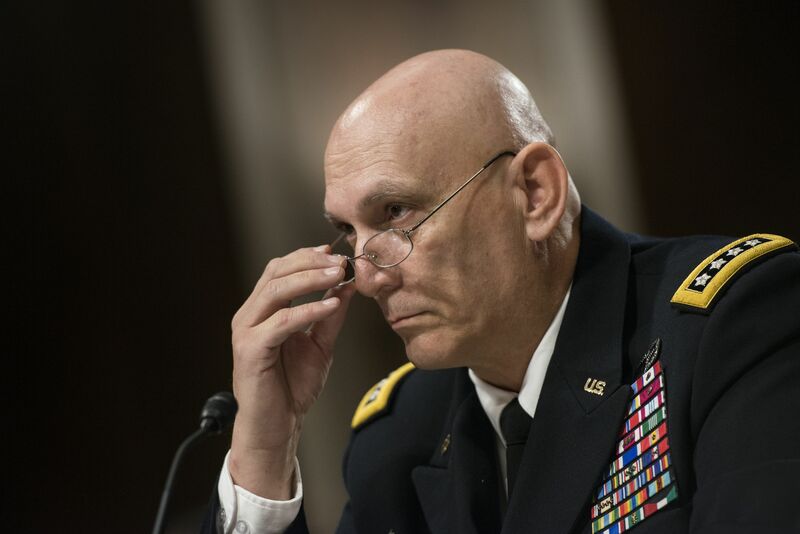 Army Chief of Staff Gen. Ray Odierno told a Senate committee Thursday that the steps taken in the wake of the first Fort Hood shooting in 2009 helped prevent a bigger disaster during a shooting at the military base Wednesday evening that left four people dead and 16 injured. The alert system and training for first responders "contributed to making this something that could have been much worse," Odierno said during his testimony before the Senate Armed Services Committee on the Army's budget. Odierno, who has visited Fort Hood many times during his military career, said that the tragedy "hits close to home" for him and promised that that the Army will reach out to help the victims and families of the victims affected by the shooting. "I understand the resilience of that community, the resilience of the people there," he said. "We will do everything we can to ensure that they continue to move forward." Odierno was just one of several officials to address the shooting Wednesday morning. At a separate hearing, Attorney General Eric Holder said he directed that the full resources of the Justice Department and FBI be made available to ensure the security of everyone on military bases, and promised to conduct a "full and thorough federal investigation." "We owe it to all of our men and women in uniform - and their families - to see that justice is done, to ensure that they are safe here at home, and to do everything in our power to prevent these too-common tragedies from happening again," Holder said. Senate Majority Leader Harry Reid, D-Nev., opened the Senate Thursday morning by pledging that lawmakers "stand with the people of Fort Hood today" and all military service members. Minority Leader Mitch McConnell, R-Ky., praised the "courage and the commitment of those who rushed to help the victims."